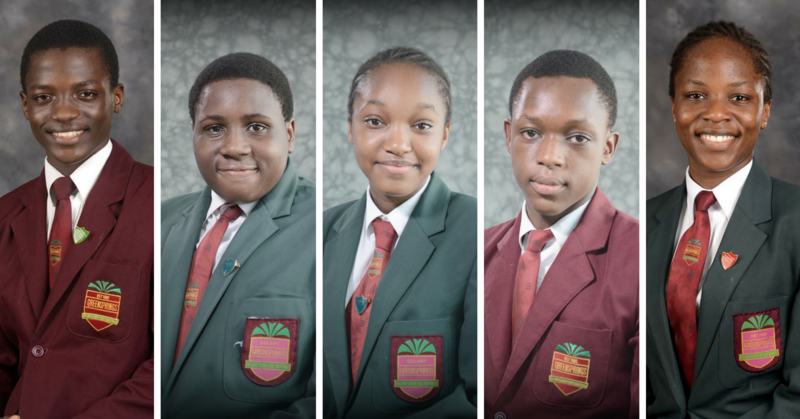 Five Greensprings Students who sat for the Cambridge International General Certificate of Secondary Education, (IGCSE) examinations in May/June 2017 have been honoured by the British Council. The event which took place on Friday, 29th June 2018 at the Civic Center, Grand Banquet Hall, Lagos, saw the following Greensprings students honoured with the Outstanding Learner Awards; Brain Nsien Ekong, Top in country for Global perspectives; Giwa Ganiat Adebimpe, Top in country for Drama; Samuel Olusola Edgar Joseph, Top in Country for Art & Design; Mustapha Abdul- Malik, Top in Country for Literature (English) and Ogechi Onyinyechi Onyenze, Top in Country for Accounting. The award ceremony which launched last year by British Council recognizes outstanding learners and acknowledges the excellent work of schools in preparing their students for the Cambridge examination. ​While congratulating the students and their teachers for this memorable feat, Ms. Helen Brocklesby, the School’s Director of Education reiterated the fact that the success of the students is the success of the teachers. She pointed out that Greensprings School is constantly looking for novel ways to develop both students and teachers holistically. Elucidating on the importance of Thinking Skills and Early Childhood Education, Ms. Brocklesby stated that “we are Nigeria’s first and only Thinking School and it is wonderful to see that most of the IGSCE awardees from Greensprings School started with us from Pre-School, while others joined us at Elementary School level”. Starting early has greatly influenced their achievements, because it helps to create a solid foundation for learning,” she said. “As a Thinking School that lays strong emphasis on the importance of pursuing early childhood education, we continually come up with better teaching methods and more cognitive ways for our students to learn and become global innovative problem solvers right from their early years”. The student's recognition comes on the heels of the success recorded last year, when six Greensprings students received the Cambridge Outstanding Learner Awards, including Honour Olatunji who emerged “Top in the World” for Mathematics.